I'm a huge lover of the Arc Notebook from Staples. So today I just wanted to write a little bit about what I have done with the inside of mine. Its so easy to buy a planner then forget about it, which is why I love this one. It's so easy to sort out and personalise it to just how I want it. Meaning ill want to use it rather than a 'one and done' job. In my last post i wrote about wanting to buy a few things for it such as extension disks. I landed up going with the largest ones which are 38mm and can hold up to 150 sheets. These are far larger than the ones which come with the notebook at 19mm. They look really chunky but I know when i start to add further pages ill be thankful I have the room to expand. I had also purchased the blank pages which honestly have completely changed how I look at my planner. These blank pages are thick enough to safely print on at 100gsm. I love designing my own pages for this book. 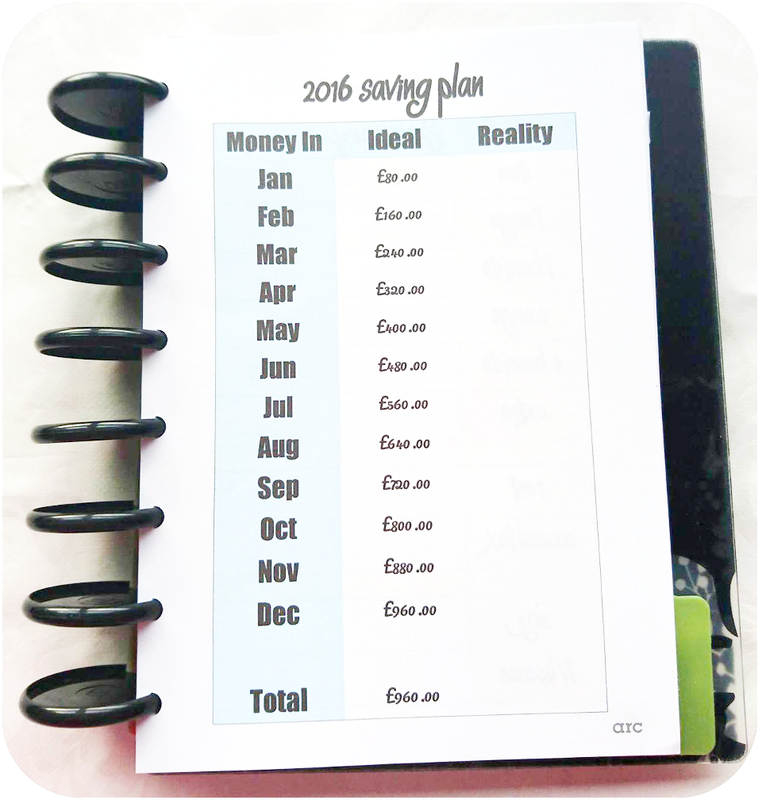 Some of the ones I have made are the one above for helping me stay on track with saving money. I really love the workout scheduale one I designed. I have it in a few colours in my planner to swap out my routen every few weeks. Other purchases for my planner were picking up the Diary, Zip Pockets, Page Flags and more plastic dividers. I love the plastic dividers and have colour coded the whole planner so finding what I need could not be easier. 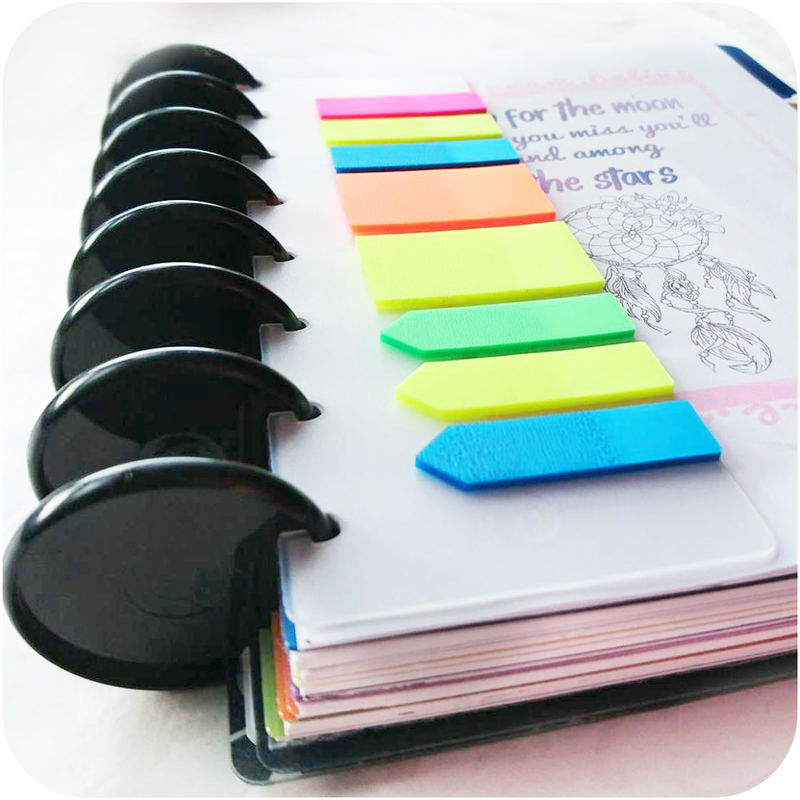 These little page flags are also really handy, not just for this planner, but to have when I'm sorting out paperwork. The only thing i would change is not purchasing the diary insert, since buying the blank pages I'm able to make up my own weekly and monthly overviews. I find the weekly views inconvenient as there are no dates on them. There's nothing wrong with them quality wise, just doesn't work for what I want to do with my planner. My next goals for this planner is to upgrade the cover to the purple leather version plus get my hands on more blank pages (I got rather carried away with printing out). However don't take my word for all this, I'm offering the change to get your hands on your very own black a5 starter Arc planner which has eveything you see in the image below. Its a brand new day and with it brought a brand new year. 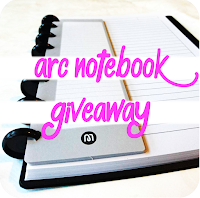 So I would like to give you all the chance to win your own Arc notebook which has really changed the way I organise my blogging and life. To take part just follow the instructions below. This is open to UK only at this time and there is no cash alternative. You must enter with all the mandatory votes or you will be disqualified. Winner will be notified within 24 hours of comp ending. 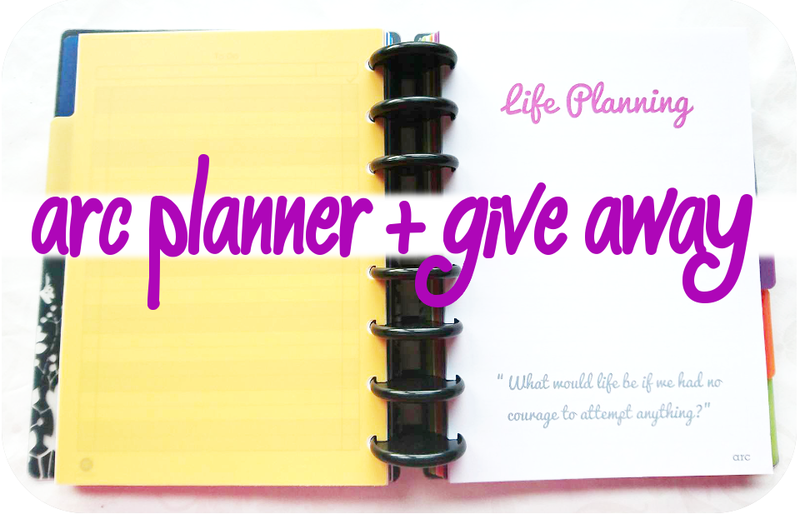 What add-ons would you give to your planner? PS: Staples did offer discount on the give away items. I have purchased everything else with my own money at full price. I belive in giving an honest review on items on this blog and money will never sway my opinion. This book looks like it was made for me. 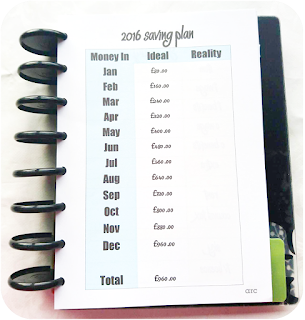 Especially the money section, ties in with one of my goals for this year! I'm a sucker for planners and this one looks gorgeous! Built in page flags!! i use them for everything at home and at work. They'd so get used! Nice one umber, good giveaway also... Keep doing your thing this new year... Blessings on you..
Ooh, shiny. Haven't had a planner as such since the days of the filofax for kids. This looks like a fab planner. I was shopping for one earlier. This planner out-does my Kate Spade one easily. I am definitely entering in the giveaway! I just had a quick google for them and they look so cute! Oh this one looks a lot nicer than what I currently have. I've never heard of the arc planner before but it seems amazing! I like how you can make this personal and exactly how you like it, so much more useful than a general diary. 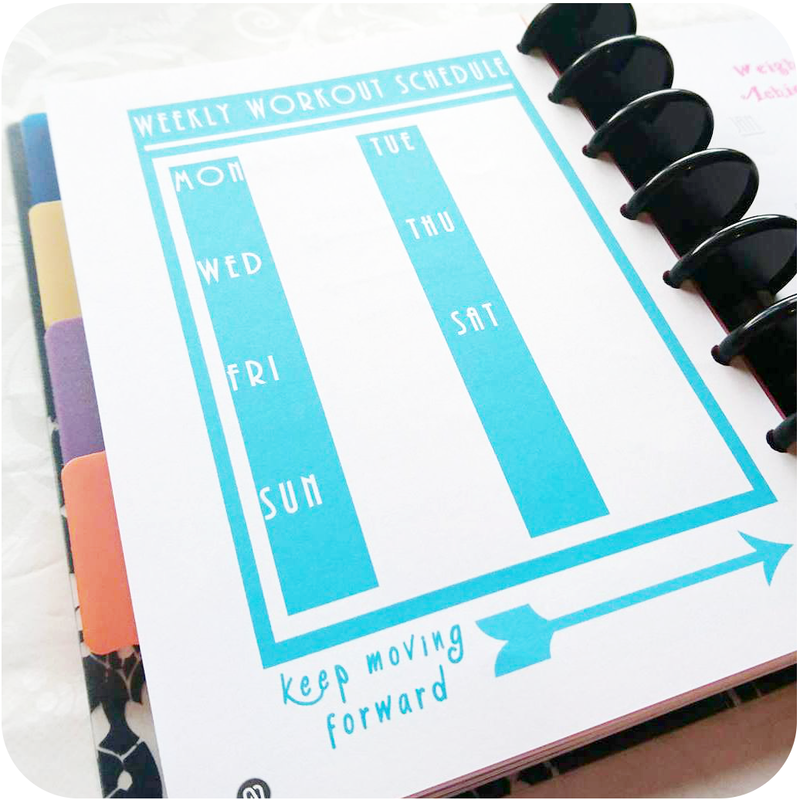 Great planner - and I really like the pages you designed! I like that you can design your own pages for it, it also looks very funky! Such a good idea! I own a normal diary, but this seems so much better. Really like the customaziable element to it! This looks like such a fab planner! I don't really need a new one but I may be heading back to enter the giveaway as I love planners!